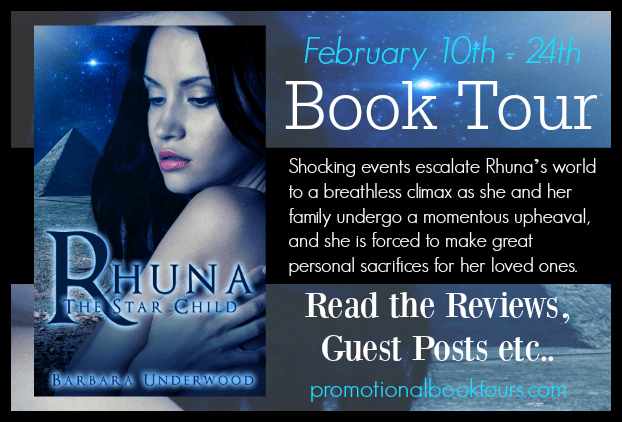 Rhuna, The Star Child is the thrilling sequel to Rhuna: Crossroads, and is the third book in the Rhuna Fantasy Books series, but each book can also be read as a standalone novel. 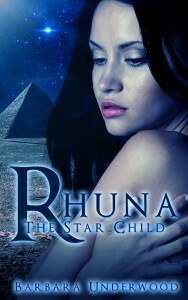 Rhuna, the Star Child is set in mystical Ancient Egypt where Black Magic was developed by the followers of the legendary villain, The Dark Master. As strange and frightening curses plague the population, Rhuna discovers the underground organization that performs this uncanny new magic, but she can only combat it with the help of her long-lost father. Having learned from her father amazing new skills to empower her on the Astral Plane, Rhuna once again strives to preserve peace and harmony in the idyllic Atlan civilization. Far more challenging than fighting powerful Dark Forces, however, is Rhuna’s personal anguish when her daughter becomes involved with the leader of the Black Magic movement, and the once-perfect Atlan society based on utopian principles begins to crumble all around her. Shocking events escalate Rhuna’s world to a breathless climax as she and her family undergo a momentous upheaval, and she is forced to make great personal sacrifices for her loved ones. Barbara was born and raised in Sydney, Australia; the only child of German migrants who provided a rich and diverse childhood environment. Already in third grade she wrote a short children’s book for a class project and realized that she was deeply satisfied with creating stories. In sixth grade, for another class project, her teacher was so impressed by the lengthy story she submitted, that he commented at the end “I see we are going to have another author”. Over the years, Barbara kept writing one thing or another, but only as a hobby while she pursued other interests and goals. In the 1990s, she completed a correspondence course in professional writing, doing it in her spare time after work. This led to having a few short stories published, but what she really wanted to do was write a proper novel. 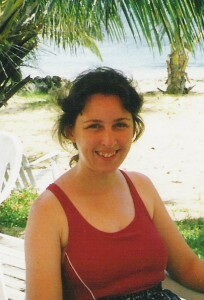 At this time, Barbara had travelled extensively and gained a wealth of knowledge and experience in subjects that held special appeal for her, namely ancient history, myths and legends (such as Atlantis, the builders of megaliths around the world), folklore (the belief that a god-like race gave mankind its technology), human psychology and the culture of other countries. What better subject for her Fantasy book series than to combine all these elements into one big adventure!